Pop-up dining legends Nguyen and Thi Tran bring their (not-so-secret) underground restaurant, Starry Kitchen, back to life for one night only exclusively on UberEATS. Acclaimed by foodies across Los Angeles, Starry Kitchen once garnered the #10 spot on Yelp and graced Jonathan Gold’s 101 Best Restaurants List. 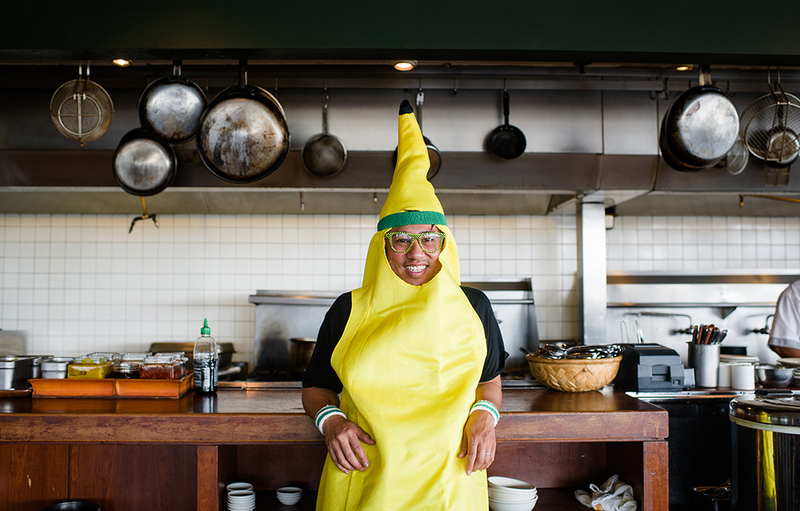 We caught up with Nguyen to learn more about his crispy tofu balls, going viral, and his affinity for a banana suit. I was born in Virginia, grew up in Texas. My degree is in computer science and I worked for a dot-com for a few years. We went bust. Then I worked in film for about eight years – did Cannes, Sundance, all of the film festivals. And then about six years ago we started an underground restaurant in our apartment. And it had been driven mostly by my wife [Chef Thi Tran]. She has always been talented as a cook. She lost her job in advertising and she said, “hey everyone I lost my job what should I do”. It took about three weeks and I convinced her – let’s start an underground restaurant in our apartment. And three days later we started Starry Kitchen. Where did Thi learn her cooking skills? She was forbidden from cooking growing up. She was born in Vietnam and moved to the United States a year later. Her parents didn’t want their children to follow anything blue collar. They wanted them to be attorneys, doctors, accountants – white collar – so they didn’t have to live through the same pain as their parents did. So her mom said don’t go in the kitchen. Her mom was trying to make sure her daughter didn’t follow the same path. But when she went to college she missed her mom’s cooking and she had a drive to make that food. So when kids in college were making instant ramen she was making Bún riêu, a really complicated soup minced crab and lobster. She was making this her freshman year. So with these cooking skills and your apartment you started a mini-food revolution? 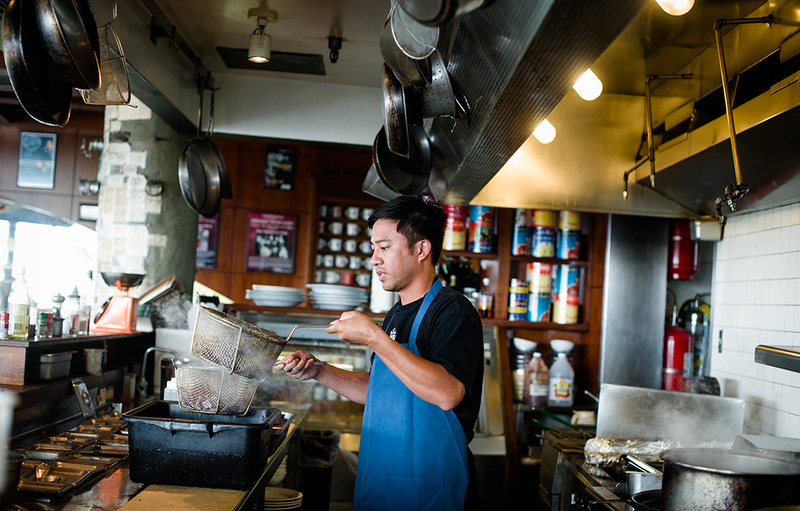 Five months later we were the #1 most trafficked Asian-fusion in all of LA on Yelp. We just started by inviting all of our friends over. When our friends were invited they weren’t expecting anything and when they showed up they were like, “woah, this is really good”. The week after they brought more friends and it just exploded. It was a really magical summer. We had people find us from New York, San Francisco. It was a fun ride. In 2010 you opened up your first brick and mortar location. How did that change your business? It changed everything. We had to bring the food we were making in our apartment to a much larger scale and it was a really high learning curve. We used to have lines out the door 30-40 deep. We were running out of food so fast that we had to stay up all night making the food just to make sure we had food the next day. You soon opened a pop-up restaurant. How was that experience? It was dead for almost a year. Took a long time to fill it up. We learned the dark side of the restaurant business. You need to earn your keep. You don’t know if anyone is going to come through those doors. It’s been six months since you closed the doors on your pop-up location. Why come back now on UberEATS? If anyone orders delivery, 45 minutes to an hour, that’s the average … but in under 10 minutes, the time it takes to walk to your car, that’s incredible. We saw this as an incredible thing to be a part of. I’m telling people not even in the delivery area – just cross over, run an errand and order UberEATS and the food will be there while you are running your errand. And guess what? You can take it home, you can eat there, you can go to the park, you can eat it with people. You can start jogging and if you’re hungry while you’re jogging you can order UberEATS. You have a thought, you act on it, you get fulfilled in under 10 minutes. And for restaurants I think it is pretty revolutionary. To be very specific, you are adding an additional revenue stream. And since it is curated you are vouching for the vendors and restaurants on your platforms so it’s a win-win. We are serving our Malaysian Chicken Curry with Okinawan sweet potatoes and carrots and our crispy tofu balls. Tofu balls define us. It was one of the last dishes created at our apartment. It’s a game-changer. It’s the dish that people who hate tofu don’t know why they love it. It brings them over. 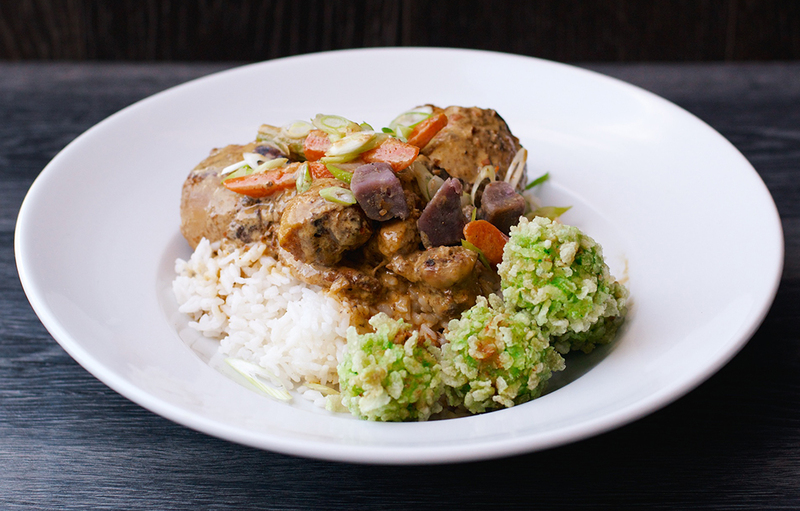 The chicken curry is the favorite amongst our kitchen and our customers. Our cooks found out we were making this chicken curry tonight and they were ecstatic. I want people to feel good. I want them to run outside. I mean not run too hard because they just ate. I want them to go meet people; I want them to reminisce about a happy point in their life as a child or last week. Food, taste, smells, they can invoke incredible memories you haven’t thought about in a long time … that’s what I want. That’s what comfort food is. Despite the problems in the world, it could be that one moment where you actually enjoy your food. Even if it is just for five minutes, enjoy your food, remember something that was just really fun and happy, and then you can go on with your life when you finish. ..And we can’t leave without knowing the story behind the banana suit. I used to work on film and the last film I worked on was called “White on Rice”. The girl in the film was named “banana girl” because she dressed as a banana for Halloween. I told the director he had to let me wear that banana suit. It was amazing what I got away with while wearing the banana suit. When you are in the banana suit, it’s just magic. Order tonight and you might just see the banana on the road. And check out our full week’s upcoming meals by clicking below.